Lithuania's new liquefied natural gas (LNG) terminal in Klaipėda will be able to cover around 90 percent of the gas needs of Lithuania, Latvia and Estonia, Lithuanian President Dalia Grybauskaitė said on Monday. "Lithuania has built the terminal on its own. It took only three and a half years to complete the project. We have become an energy-secure country. (The terminal) will be a security guarantee for the Baltic region. 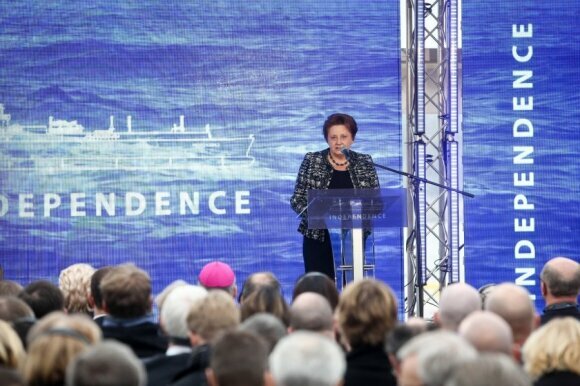 We will always be able to come to our neighbours' aid if they need this," she said during an official ceremony to welcome the Independence, the floating storage and regasification unit (FSRU) built for the LNG terminal, in Klaipėda. 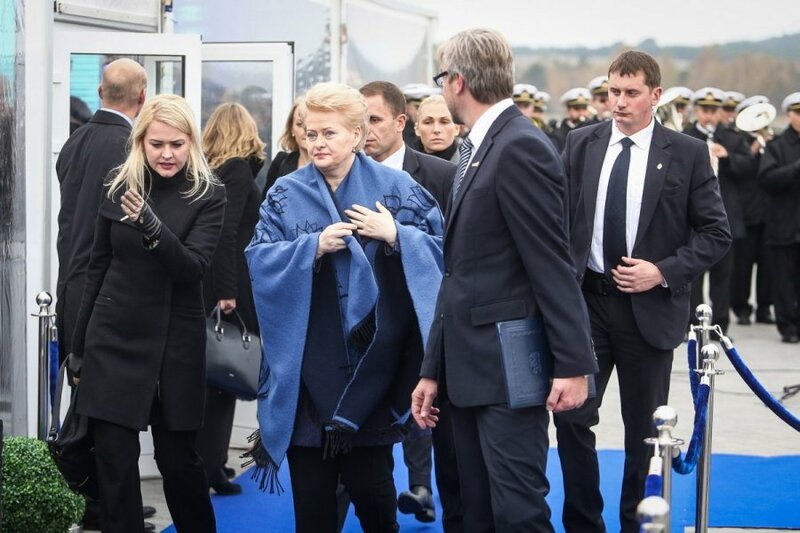 The LNG terminal is not only an energy project, but also a geopolitical project that will ensure the Baltic region's energy independence, Grybauskaitė said. "From now on, nobody will be able to dictate the price of gas to us or buy our political will, or bribe our politicians," she said. 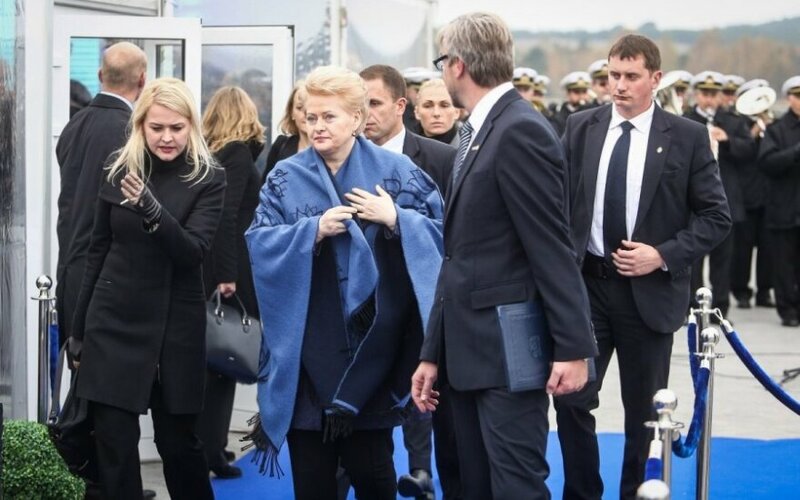 Grybauskaitė also thanked the governments of Andrius Kubilius and Algirdas Butkevičius for their efforts in implementing the LNG terminal project despite "objections and attempts to put a spoke in the wheels". The Independence arrived in the port of Klaipėda on Monday morning. On Tuesday, another vessel is to deliver 50 million cubic meters of gas from Norway's Statoil for the testing of the LNG facility, which is to be formally launched on 3 December. It is planned that Lithuania will be able to import about a billion cubic metres of gas via the terminal in the first year of operation, with the annual capacity to be increased to 4 billion cubic meters in the future. The LNG terminal will allow not only Lithuania, but also the other two Baltic countries to secure gas supply at a favourable price, said Latvia's prime minister during the ceremony in Klaipėda. Laimdota Straujuma also promised to increase the natural gas supply capacity between Lithuania and Latvia. "Today Latvia is welcoming the liquefied natural gas terminal in Klaipėda. The terminal is opening the way for obtaining alternative gas sources and a better price for consumers," the prime minister said during the official ceremony. "We are now planning to increase the capacity of the gas pipeline between the Klaipėda terminal and Latvia. We are also looking forward to timely completion of the gas supply segment between Poland and Lithuania. This will be another important step towards ending the energy isolation of the Baltic states," she said. Latvia's Incukalns underground gas storage facility will become a key element of the region's gas network and will help the region to promote cooperation with global energy suppliers, the Latvian prime minister said. Latvia had earlier opposed Lithuania's LNG terminal project and wanted to build a regional terminal itself. Straujuma said in early May that the Baltic countries, Finland and Poland finally had to reach an agreement on a regional LNG facility so as to get ready for importing of gas from the US. She has also said Latvia is looking for alternative natural gas supply sources and Lithuania's LNG terminal could be one of them. US secretary of state: "historic milestone"
United States Secretary of State John Kerry on Monday called Lithuania's LNG terminal "a historic milestone". In a letter to the Lithuanian president and prime minister, the secretary of state praised "Lithuania's strong and sustained leadership and strategic vision" for the implementation of energy diversification projects. "The opening of the Klaipėda LNG terminal represents a historic milestone in the Baltic nation's energy security. (…) The United States looks forward to continuing our joint efforts with Lithuania, with other countries in the region, and with the European Union to further strengthen energy security in Europe," Kerry said in the letter. The letter was read out during the official ceremony in Klaipėda.